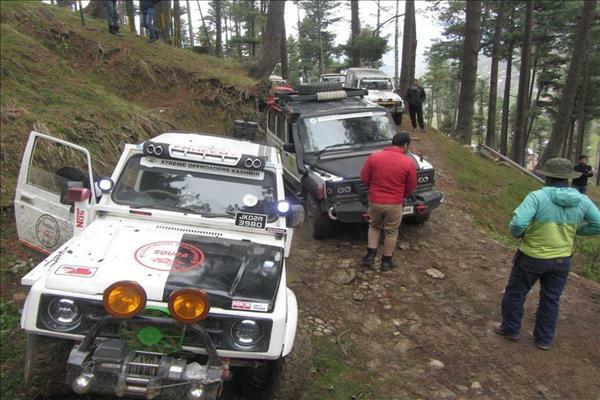 (MENAFN - Kashmir Observer) BANDIPORA — With the aim to promote adventure tourism in Kashmir, Twenty 4×4 enthusiastic racers from Srinagar and Bandipora embarked on a car ride to scale the mountains of Labkachaal, Vewan, Authwatoo areas of Bandipora district. The organizer of the event said the aim was to attract the adventure loving people towards Kashmir and to explore these virgin places to give a boost to the tourism potential of forgotten areas like Bandipora. 'The main purpose of organizing this rally was to explore the mesmerising beauty of Bandipora and to promote adventure tourism in the area," said a racer Tanveer Ahmad Dar. 'We want to bring back Bandipora on adventure tourism map as it was attraction for foreign tourists before 90's especially Authwatto Vewan, Labkachal and Gurez'. 'Bandipora has been neglected by the successive regimes and Tourism department despite the area having a vast scope for adventure tourism. This run is an initiative to draw the dormant mind of government towards the unfading beauty of the district,' Dar added. 'This initiative encourages the youth to participate in adventurous sports,' he added.